The first of four World Golf Champions events starts this week with the world’s best golfers competing in China to hoist the WGC-HSBC Champions trophy. Rory McIlroy has returned to the field after skipping this event last year. He’s making his first start of the 2018-19 PGA Tour season after helping Europe win the Ryder Cup. The world’s top three players are all in the field this week, but Tiger Woods decided not to make the trip to China. He hasn’t played in the new season, but he is expected to compete against Phil Mickelson in an exhibition match around Thanksgiving. Though this has become something of the forgotten WGC event out of the four, it offers a great chance for players to earn a big win early in the season. Justin Rose kicked off his dominant fall with a stunning come-from-behind win over Dustin Johnson, who started the final round with a six-shot lead. Johnson failed to make a birdie during the final round last year, while Rose shot a 67 to claim victory. The reigning #FedExCup Champion, @JustinRose99. Rose momentarily claimed the top spot in the world rankings this year, but he is now third behind Brooks Koepka and Johnson. The world’s top-three golfers (Koepka, Johnson and Rose) are all in the field this week and they appear ready to push for another title. 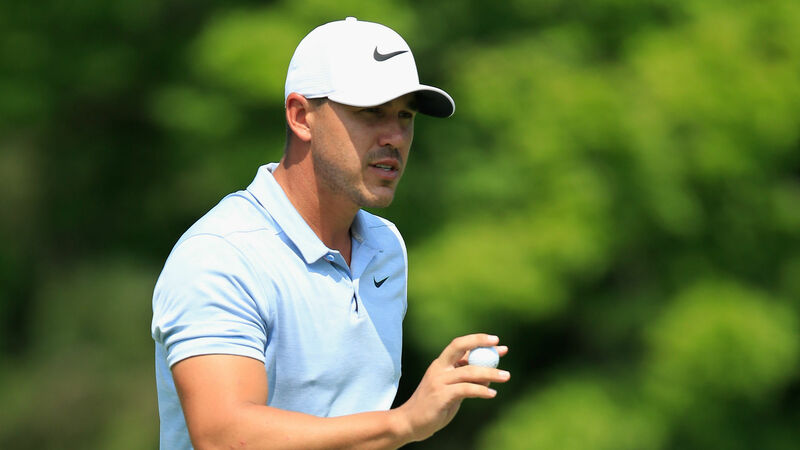 Koepka has looked like the best golfer for a while now, so it wouldn’t be surprising to see him back up last week’s win with another. Australians Jason Day and Adam Scott played well last week, and they had positive moments last season. Both are excellent ball-strikers, which is key on this course. Tyrrell Hatton finished last week off with a hot putting round, helping him rise into the top-15. The enigmatic Englishman doesn’t get the hype of some of Europe’s other young stars, but he has the game to win big events. Denmark’s Thorbjorn Olesen rocked Jordan Spieth in his singles match at the Ryder Cup, and he looks poised to have a good week in China.